This Map Shows the Average Life Expectancy in the United States #Infographic ~ Visualistan '+g+"
Many Americans wonder how long they will live for. What dauntingly high number will they hit before their time has come? Will they be around well into their hundreds, or will they go out at a young age? More often than not, they’ll live closer to the average expectancy of 78.8 years. Depending on the state they live in, they could add or shave a few years from that number. 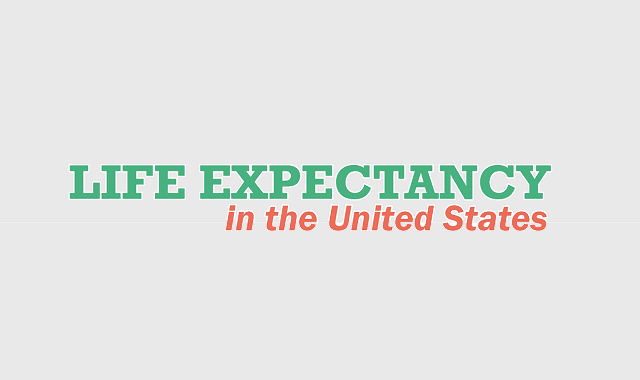 Have you ever wondered what the average life expectancy is for the people of your state? This infographic from TitleMax.com breaks this information down in a clear and concise way that makes it easy to see how your state compares to the other 49. It also takes a deeper look into these numbers with the 20 highest and 20 lowest life expectancies by county. On the first map Hawaii looks to be the winner with the highest life expectancy of 81.15, but Colorado is the clear winner with 6 of its counties landing in the top 20. They hold the top 3 spots with life expectancies that range from 85.94-86.83. So whether you enjoy the beach or the mountains, you should live a long and happy life in Hawaii or Colorado!